We’ve been up to lots this week including preparing for our Nativity next month. You have probably heard our Nativity music CD playing at drop in the morning. We have started practicing the words and actions during circle time each day. We’ve also continued creating stars for our backdrop. We started the morning by everyone really wanting to get involved with building the highest wooden block tower. They loved to make really intricate and precariously balanced towers. The bigger the better! 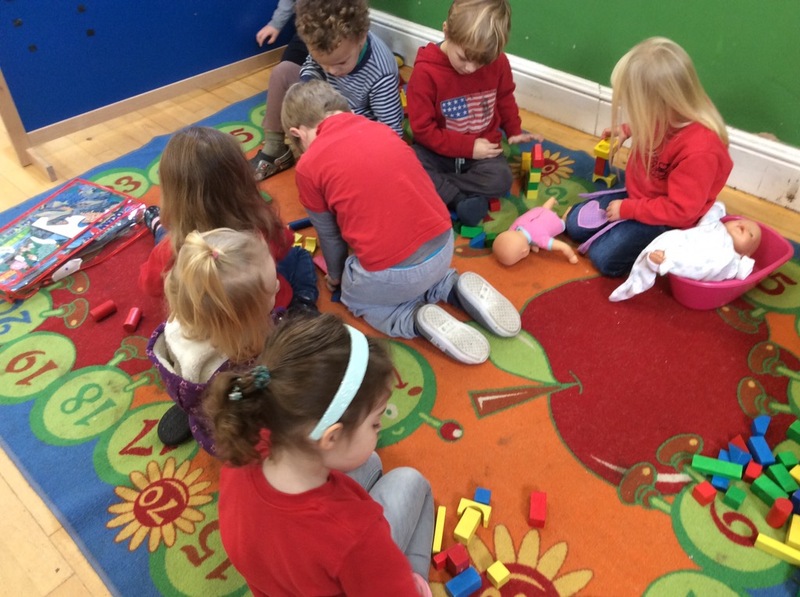 The children slowly dispersed throughout the hall looking for other activities to take part in. Some children sat for a while in the book corner reading to each other and carefully handling the books. 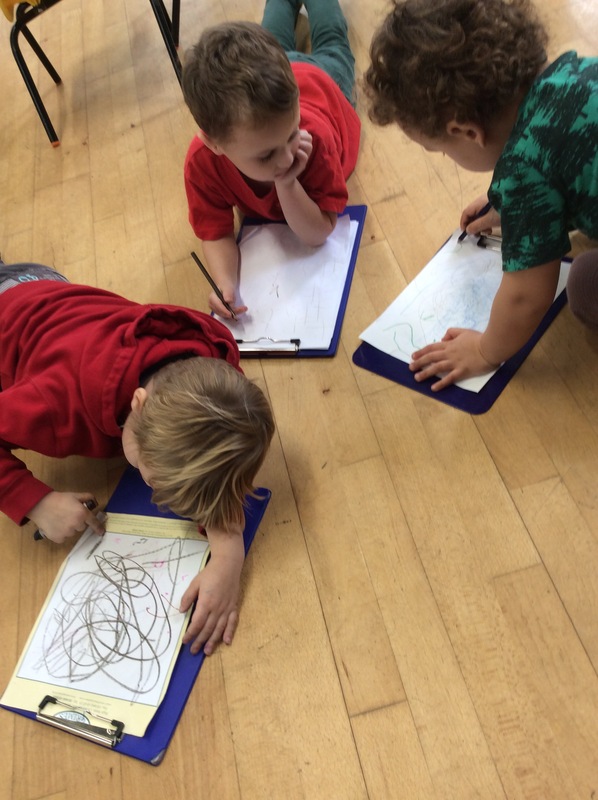 Some of the boys used clipboards to create maps and went on their own adventure. Issy was playing a number game with a small group of children. During Circle Time this week we have also been looking at the numbers 1-6, this includes the figures and also matching value. 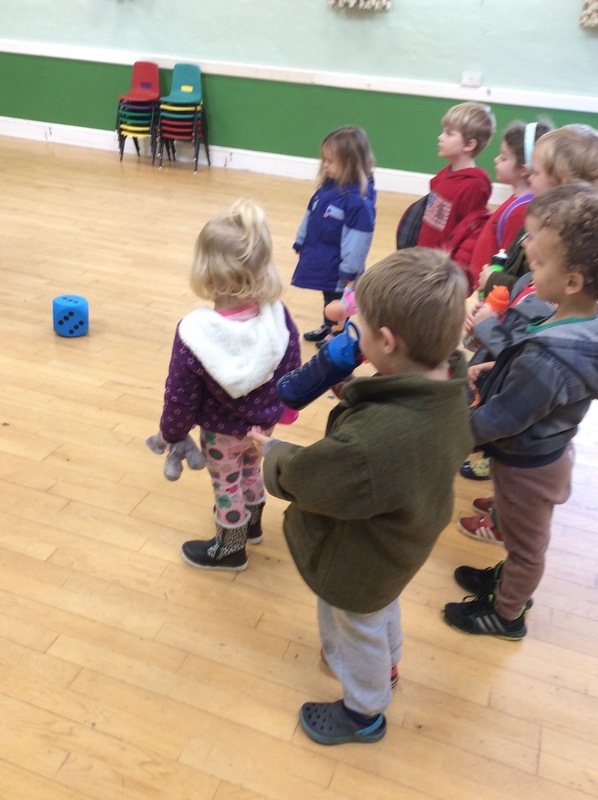 Today we played a game based on ‘What’s the time Mr Wolf’ using a large dice and stepping the number of dots thrown. We were aiming to get to our coats and bags for pickup time.